On the first day of the Consumer Electronics Show in Las Vegas, few are probably thinking about sleep - until you come across the Sleep Number booth. Does your partner snore? Sleep Number introduced a smart bed so smart that one feature allows you to adjust your snoring partner's elevation, raising them higher in order to decrease their heavy breathing. The new bed, called the x12, monitors your heart rate, breathing, positioning and the number of times you get out of bed during your sleep. 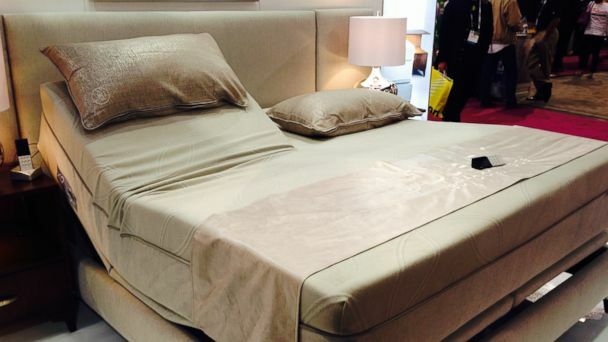 The Sleep IQ technology is all inside the bed, nothing needs to be worn while you sleep. Silencing a snorer and monitoring your health while you sleep will cost you, though. The bed is currently retailing for $8,000.